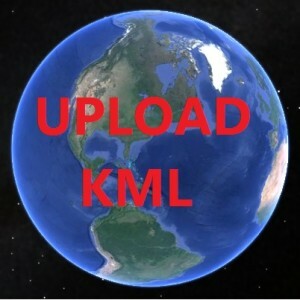 Upload or add kml or KML file on Google Earth. KML or KMZ is a file which models geographic features for displaying in Google Earth or Google Maps. 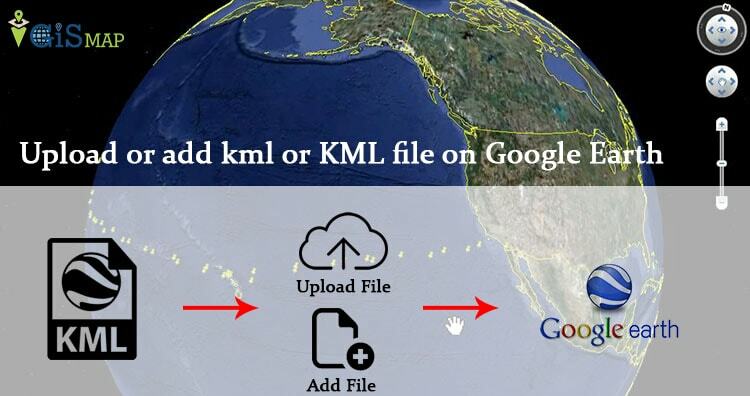 You can easily add and upload KML file on Google Earth. 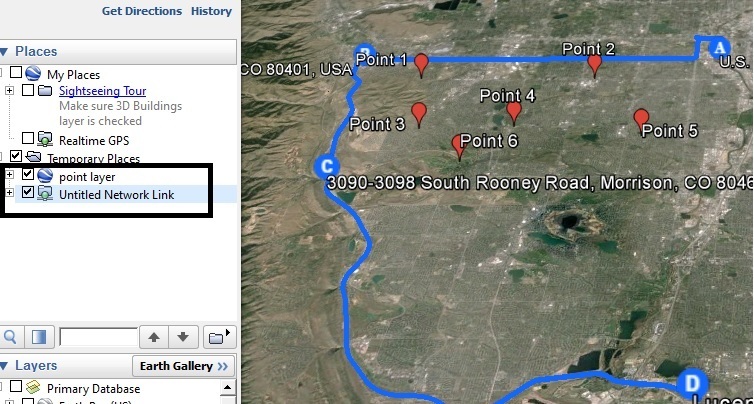 This files can be easily created on Google Map or on Google Earth or on Any GIS tool. You may need to upload a shared or newly created KML file from third party, and want to verify whether the overlapped KML or KMZ file is valid or not. 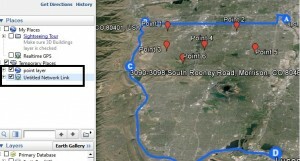 You may use Google Earth Pro instead Google Earth as it is now free to download. Before following the below steps, download or create one of the KML file to taking demo. You can either create and export KML file from Google Map or from Google Earth or you may also convert your shapefile to KML or KMZ file from QGIS. 1.) Launch Google Earth in your desktop either Mac or Windows OS. 2.) Click on File menu, and select Open. Now browse to the KML or KMZ file which you want to upload on Google Earth. This will upload KML or KMZ file which may either be point, multipoint, line or polygon. 3.) In the places panel, you may file a new folder with Temporary Places containing your KML map. Double click on the KML map appear in panel to explore all layers and all associated elements(point, line or polygon). To every element present in layer, you can either cut, copy, paste and delete, and save – download the KML map to my places folder of Google Earth. Also you change the properties i.e Description, Style or Color of markers and line, Altitue and Measurement. 1.) To add multiple KML file, you first need to follow the above steps to add the one. 2.) Now on the folder where your maps is actually loaded i.e in my case in “Temporary Places” right click and select add -> Network link. 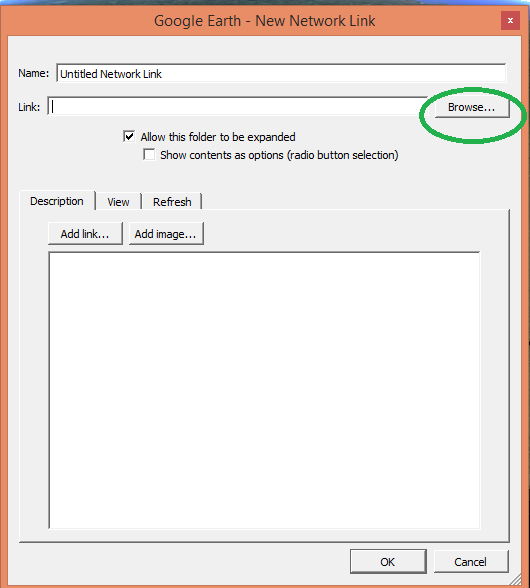 This will open up a New network link window. 3.) 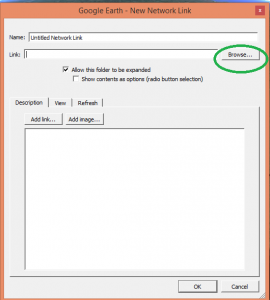 Select browse, and navigate to another KML file which you want to upload. 4.) Ok. Now your system is ready with multiple KML file on Google Earth. You can customize the uploaded KML file in same way as described above. Now you can perform GIS operation and analysis on Google Earth with uploaded overlayed KML file. Hope this tutorial would have help you. If you find any problem in uploading KML file, do comment below. Also do share which type of data file you frequently upload on Google earth. Good tutorial to add and upload KML on Google Earth. Thank you.